Being mean to fat people is now the same as being rude about people for their colour or physical disability. Here in the UK, serious documentaries and newspapers have reported on the latest medical implications of gene research. In the case of obesity, they have discovered two risk genes. 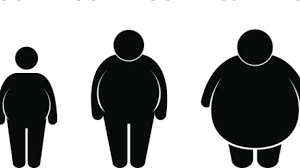 When both are present the likelihood of being overweight is increased. By ensuring food intake is below energy usage obesity can be beaten against the odds. That is tough. Over time, maybe we will come to see that all human differences both physical and behavioral are heavily influenced by genetics. Most criminals maybe unfortunate in both their genes and socialisation.